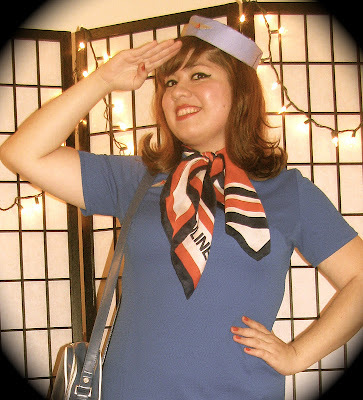 Pan Am Stewardess! Although in this picture the Pan Am bag is hidden. It turned out I was kind of made up of three airlines.